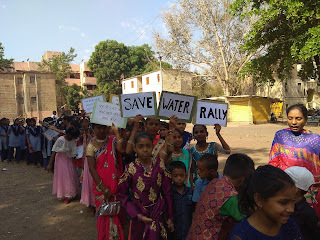 Koregaon Park (Pune), 12-April-2019: The Don Bosco Development Society, Koregaon Park (Pune) organized a rally on the theme of ‘water conservation’ in association with the students of Samata Balak Mandir School in Nagpur Chawl in Pune. 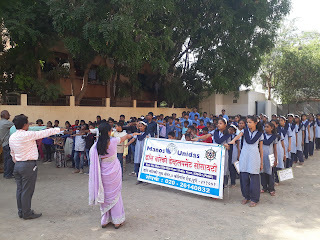 178 students participated in this rally. The event was held under the aegis of women empowerment project supported by Manos Unidas, Spain. 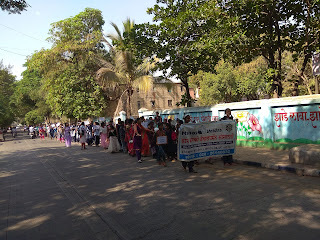 The Rally started at 9.30 am when students assembled in their school ground. 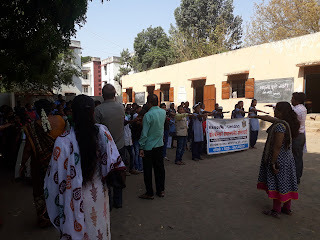 The students, their teaching and non-teaching took an oath to save water. Mr. Nagsen Chavan (Coordinator-DBDS) spoke on importance and need to conserve water. 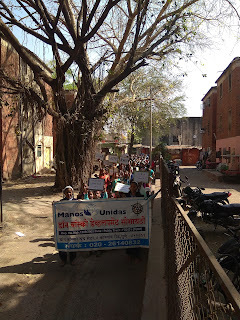 The students carrying placards and banners with information and slogan marched through the lanes of Nagpur Chawl. On the way the students also spoke to people on the need to save water. Program ended with vote of thanks by Ms. Jyoti Sonwane (Staff-DBDS). Snacks were served to students after the rally.